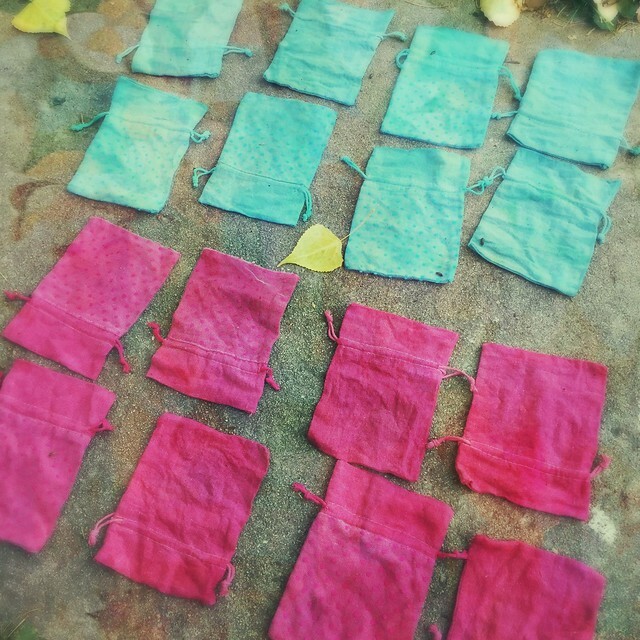 I dyed some little drawstring bags pink and blue! I set them outside to dry and apparently it's Fall. Why are there leaves on the ground already?